This is the remarkable story of how the people of Havana have pulled themselves back from the brink of disaster. 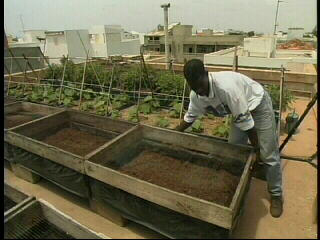 Faced with food shortages and widespread hunger, city dwellers began growing food on rooftops and in front of office buildings. "It was a very spontaneous movement. People started to grow things on every available place", states on resident. Now, there are thousands of urban farms and more than a million tons of food is produced within the city.